Hey everyone! I've got something a little different to share with you today, in the shape of a review some of you may be sceptical of. 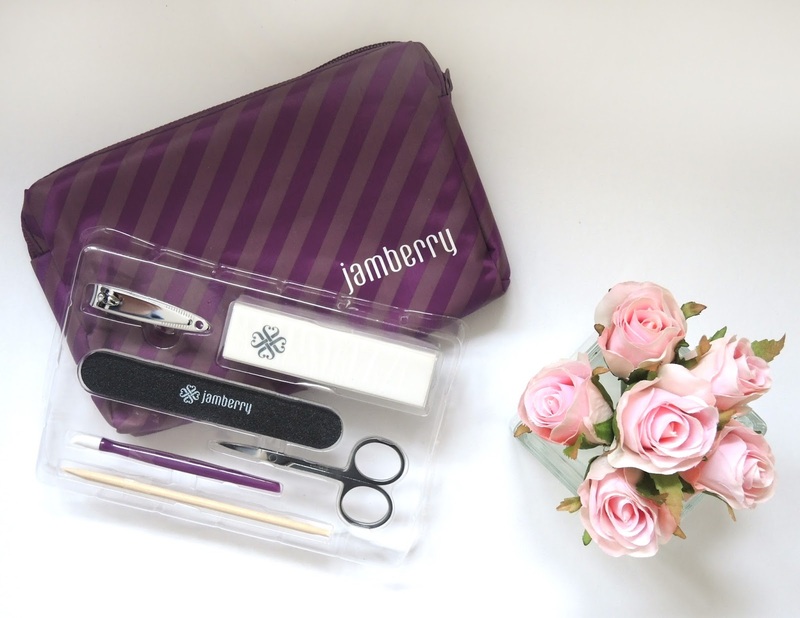 Jamberry wraps have been on my radar for quite a long time, I was aware of them when they were mainly in the US, but recently they expanded to the UK and so they became a bit closer on my radar. I was approached by a number of reps to review the products, but I wasn't interested. I'm sure you've all heard the rumours, that their wraps ruin your nails, that they're not very good quality, and that their reps can be exceptionally pushy. Recently I was asked to host an event, and I was later told that this would be for Jamberry. I was left with a bit of dilemma, as I had been excited to host the event, but I'd also heard negative things about the brand. So I decided to bite the bullet and try the wraps for myself first. Why write them off before I'd even given them a chance? I decided that if I liked them, I'd do the event, and if I didn't, then I wouldn't, that way I wouldn't be supporting a brand that I didn't like or agree with. There are over 300 different Jamberry nail wraps so you're spoilt for choice, and you can always mix and match designs. I chose the simple lilac leaf design out of the designs I was sent, and applied them to my 'cinderella' hand so I could test them for more than a few days. I used this tutorial on the Jamberry youtube channel to help me apply them, but I also watched quite a few from consultants to double check everything and make sure I was getting it right. I found application relatively easy, the heater definitely helped, it's quite similar to applying gels in the sense that you need to prep the nail beforehand with alcohol wipes etc. I've found with nail wraps in the past that they don't really stick to my nail, mainly because my nails are an awkward shape. Especially on my cinderella hand, which I never really photograph as my middle finger is slightly odd-shaped after years of writing. However, once heat was applied to the wraps they became much more durable, meaning I could stretch them to fit as I wished, and I could also use the heat to manipulate them into the right position. Although, my pointer finger (which I applied first) was noticeably rubbish in comparison to my other nails. I should have probably practised first before wearing them for a whole week, but I think it's testament to how easy they are to apply that the rest of the nails were absolutely fine, so I only needed to 'practice' on one nail. They're also very tough, as they're meant to be, so I found it quite hard to file the end of the wrap off, I found I had to use quite a bit of force with the file. In terms of removal, I was dreading this part the most, as I'd heard a few rumours that they damage your nails, part of the reason why I applied them to my cinderella hand. But, and I'm not just saying this, removal was really easy, and didn't damage my nails at all. I think the problem with the rumours is that they originate from the kind of people who think gels damage your nails because they pick them off, the answer is NOT TO PICK. They'll be fine if you follow the proper removal process. Do their wraps ruin your nails? Not at all, mine didn't even have a scratch. Are they not very good quality? 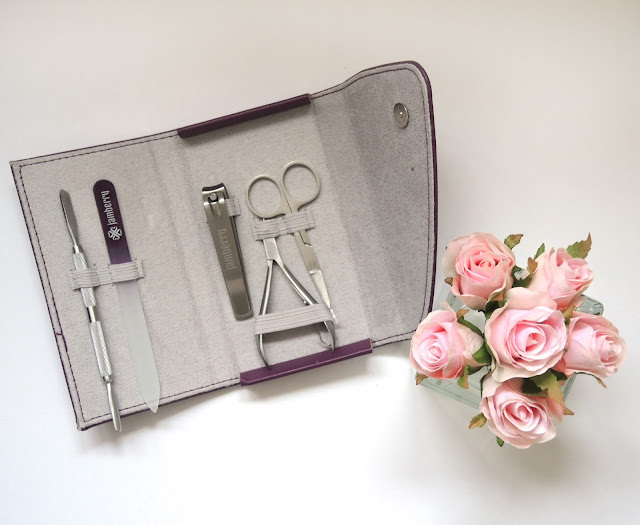 They're definitely good quality, they're very tough, and you can stretch them to fit your nails better, and they lasted me an entire week without chipping or peeling, until I had to remove them to test the removal process. Are their reps exceptionally pushy? Not that I've seen in the UK, it is their job after all to push you a bit, but I think that some of the US reps have given a bad name to the rest. I've not dealt with any directly so I can't be sure, but I'd always recommend doing your research first. From my experience of having directly dealt with Jamberry, the company itself seems much better than I had previously believed. As a quick note, I don't want to be seen as 'selling out' by doing this event, I was only happy to do it once I knew the products were worth my support, and to finally put the rumours to rest that had been preventing me from trying out the brand. I don't often use nail wraps, as I can of course create the designs myself, but for a quick design that you don't need to wait to dry, these are great, and I'll definitely be reaching for them again at some point. What do you think? 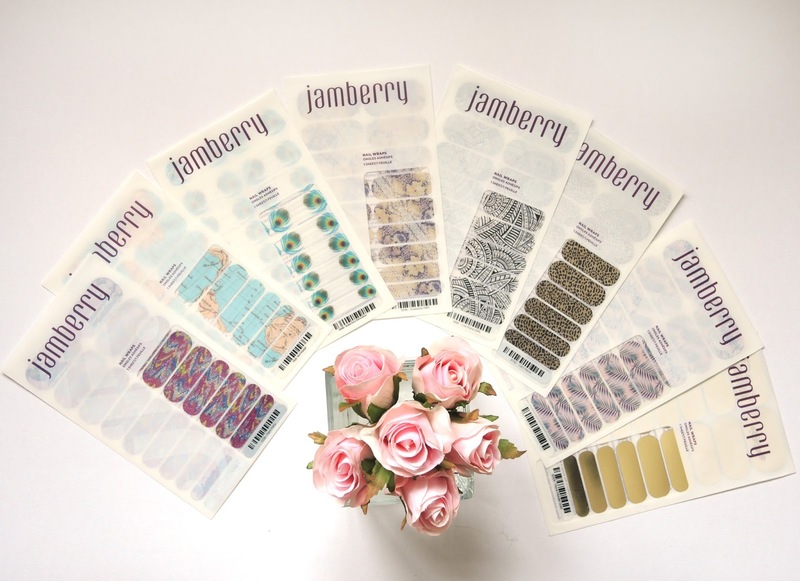 Have you ever tried Jamberry? Would you ever? Let me know in the comments! This is a great review, but I just cant persuade myself to part with £15 for a set of nail wraps when I can spend that money on a decent nail polish that I'll be able to use again and again. I think they are far too expensive, especially when I can go to Boots and get a set of Nail Rock wraps for around £6. Not for me I'm afraid, I have found their reps pushy too. They are the YoUnique of the nail art world and won't be getting any of my money. Such a great and honest review! It must be difficult being so honest when a company are giving you things, but you've done a great job. Would love to see more brand reviews! I agree as far as reps can be pushy and cause ppl to be turned off great product. As a Younique and Jamberry rep in the US, I don't post daily or send random messages. I know the products are amazing and ppl know I'm a rep. I let them come to me when interested. As far as this review she did an amazing honest review. I wear wraps daily, but it took me nearly a year before I would try them. Addicted now so much easier, nothing toxic either. But for two Mani's and two pedi's I disagree with you on price. Mind you I once was a skeptic as well. But when my mani last 2 weeks. Much cheaper than a nail salon. But it's good to know why some people are skeptics and why they won't spend so much money. It keeps me as a rep more understanding to those who say no. Great review! Especially from a skeptic. I love hearing how much they are loved. Took me yr to try, but now I never have "naked nails"! Great review! I am a consultant in the UK, and havent come accross any pushy consultants here - i certainly like to think im not one of them. One of my team mates shared this article with me, and i think its great you tested before the party - I try and get all my hosts to do this, they can hardly host a party if they havent even sampled the wraps! Would love to know who these pushy consultants are, since I have never come across one. And have nothing but praise for the quality. As a nail biter, these are the bomb. Great review! :) I was skeptical myself but I agree with everything you've said here. I became a Jamberry Consultant on the day they launched in the UK - loving the nails and thank you for this honest review - good to see an open and honest review and hopefully will induce more people to give them a try - so many rumours out there which are false - and many people do not understand that £15 gets you more than one application! Great review, so now cs to have genuine reviews too, bloggers are great, as they are probably the most honest. Thanks, and I'll be sharing, possibly perfect. Great review. Thanks for sharing your thoughts. I recently signed as a Jamberry consultant, I love that I can have my nails done even though I'm constantly changing nappies and cleaning up. Nail polish is cheaper but I never used it because I hated sitting long enough to let it dry, then after all that effort it had chipped a day or 2 later. I love them and im a serious nail biter.but you cant bite through these. They are worth that money as they stay on for 2-3 weeks on my nails and longer on toes. If you use nail varnish all the time then you'll find it very annoying when it chips. These dont!! I like this nail design. Where did you get this idea and nail wraps? 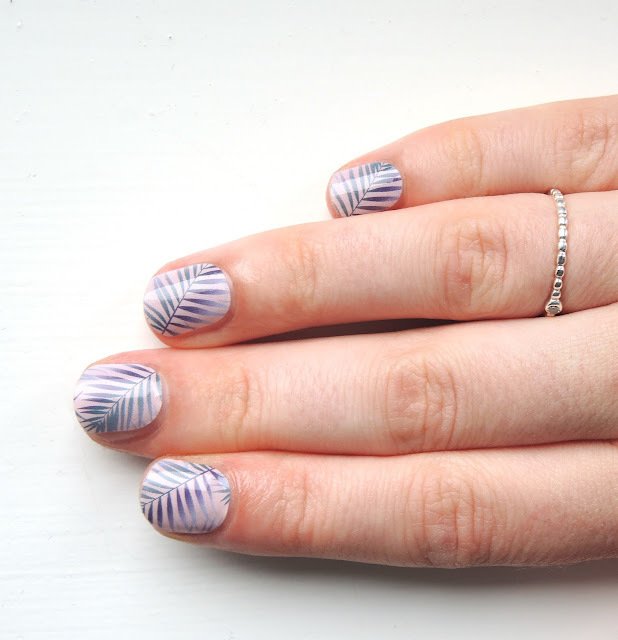 I've seen a few very similar nail art designs on http://nailartstyle.com/ website. You must have a very rich imagination to create such beauty.